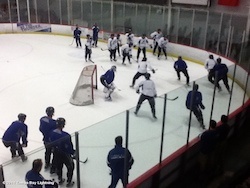 This article is the second of a 3-part discussion on developing hockey sense. After the ’72 Summit Series, North American hockey coaches were compelled to reassess how they trained and developed youth hockey players. The notion of business as usual was clearly no longer acceptable. The Soviets had been innovative in their approach to hockey, and their athletic performance in the series was stunning. There was an air of concern that the west was at risk of falling behind the Soviets in the race for hockey dominance. There is great irony in the fact that Anatoli Tarasov, "The Father of Russian Hockey," actually learned the hockey fundamentals from a Canadian. He regarded "The Hockey Handbook," published in 1951 by Canadian coach Lloyd Percival, as his "Bible" when it came to hockey. His respect for Percival was so great that he bought hundreds of copies of The Hockey Handbook and had it translated into Russian. He met with Percival in Toronto on more than one occasion and at one point told Percival he read his book "like a schoolboy." But like any great coach, Tarasov ultimately infused his own beliefs and ideas, gleaned from bandy and soccer, into what he'd learned from Percival, developing his own training methods. 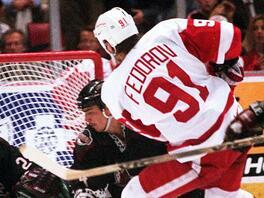 And he effectively revolutionized hockey in the process. It's appropriate to point out the incredible influence that Lloyd Percival ultimately had on the hockey world. When he first wrote his book, most Canadian hockey coaches regarded him as a quack, with some NHL coaches forbidding their players from even working with him. Percival had himself been a youth boxing champion, as well as a tennis and cricket player, but NOT a hockey player. And he made his initial contributions to Canadian athletics in fitness training as a track and field coach. He ultimately crossed over into other sports, training many Olympian athletes and helping to enhance their athletic performance. But his greatest and most lasting influence was on hockey, as virtually all hockey played today owes at least some debt to Percival's ideas. To learn more about Percival's incredible legacy, check out Lloyd Percival, Coach and Visionary, by Gary Mossman. 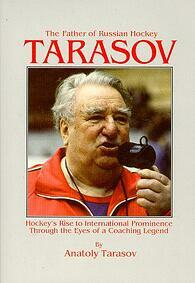 Coach Tarasov's self-titled book is now out of print and more of a collector's item. And it is not an easy read, because having been translated from Russian (most likely by someone whose first language was not English), it is disconnected and rambling at times. But there are definitely pearls of wisdom to be found in it. 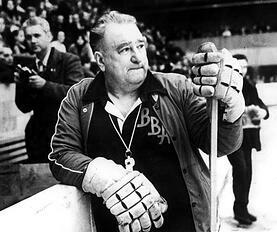 So how have Tarasov's ideas translated into teaching hockey sense today? By this definition, a player’s hockey sense is his awareness of on-ice time and space that allows him to recognize game situations as they occur so that he is able to assess the options available to him in the situation and then choose an option in response to the situation. This definition allows for players with poorly developed hockey sense, while at the same time including players with elite awareness, situation-recognition and decision-making skills. And those elite players today who do have great on-ice awareness, great situation-recognition and great decision-making skills will constantly make use of virtually all of the concepts that Tarasov stressed in training his Soviet players. This reality about elite players today, more than anything else, is part of the legacy that Tarasov (and of course also Percival) left us. And we know today that these hockey-sense thinking skills CAN indeed be taught in training sessions. Most high-end coaches today will incorporate one or more of Tarasov’s basic ideas about hockey sense into virtually every drill they run. Of course they probably didn’t get their drills and concepts from Tarasov and likely never read his book. But his ideas are there nonetheless. Virtually EVERY small area game that a coach can conceive of can be "adapted" so as to encourage players to develop one or more of the elements of awareness of on-ice time and space, situation-recognition and decision-making. It's really as simple as instituting a rule or rules that will require the player to use some thinking skill during the game. One outstanding resource for hockey coaches that encourages this type of thinking is The ABCs of Hockey Coaching, by Tom Molloy and Juhani Wahlsten. Hockey sense can indeed be taught to youth hockey players during their practice training sessions. That coaches today are so much more aware of this fact is in no small measure due to Anatoli Tarasov and the legacy he left. Bridgedale Academy invites you to come see for yourself what makes us so special. Academic curriculum by Hillsdale Academy. Athletic training by 200 x 85.